WineTricks has seen allot of development recently, some of the notable changes are better IE 8 support, MetaTrader 4 support, Kindle improvements, Russian translation, A new self update function and a massive amount of other fixes and updates. The full changelog sense February 2016 and August 2016 is provided below with a download link to get the latest release. Winetricks is an easy way to work around problems in Wine. It has a menu of supported games/apps for which it can do all the workarounds automatically. 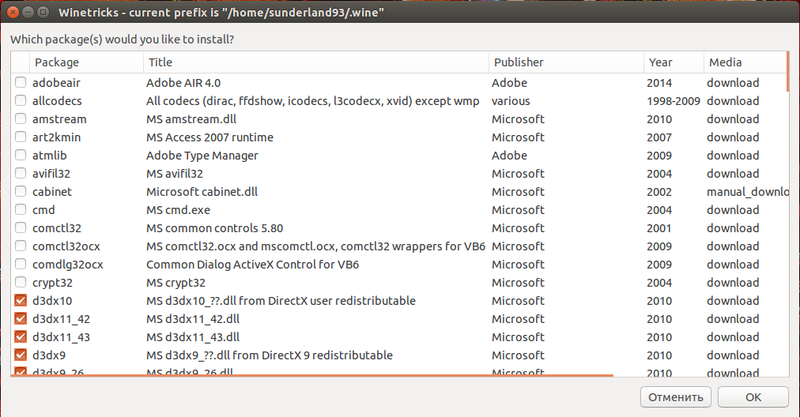 It also lets you install missing DLLs or tweak various Wine settings individually. It can be used via gui or commandline, whichever you prefer; the commandline mode is particularly useful as a building block in fancier wine frontends and in automated regression testing. Override more vcrun2015 dlls for 32 bits prefix Fixes #650, tested with Python3.5.exe, on both 32/64 bits, wine 1.9.8/1.9.11. – Added message for users who run unprivileged and do not have the proper permissions to update winetricks. ie8-kb2936068: rename to ie8_kb2936068, avoid warning on OSX. We here at wine-staging are happy to announce an initial version of our Mac OS X >= 10.8 Wine builds. So far the packages have not yet received that much testing, so please give them a try, and report any issues you encounter.